Ouagadougou (AFP) - Burkina Faso has issued an international warrant for ousted leader Blaise Compaore for his suspected role in the mysterious 1987 killing of his former comrade, ex-president Thomas Sankara, a judicial source said Monday. The source, speaking on condition of anonymity, told AFP that Compaore, who is living in exile in the Ivory Coast, had been charged with an "attack" and "assassination". Mystery still surrounds the death of the man dubbed "Africa's Che Guevara". On Monday, a police lab helping investigate the killing of the iconic former president reported that the "state of the remains" made it impossible to detect any DNA, according to a lawyer for the Sankara family. It had been hoped that DNA tests could confirm that the remains were indeed those of Sankara, whose death certificate stated that he died of "natural causes". "We can simply say that in view of these results, the state of the remains did not permit the laboratory to certify the existence of DNA," said family lawyer Benewende Stanislas Sankara, who is of no relation to the revolutionary hero. The supposed remains of the 37-year-old former army captain, along with those of 12 former aides also killed during the 1987 coup, were exhumed from a cemetery in the capital Ouagadougou in May. A lab in the southern French city of Marseille performed testing on the remains, which according to autopsy results released in October were "riddled with bullets". The family's lawyer said the DNA tests had been carried out at the request of the Sankaras, who now have two weeks to decide whether to seek additional testing or analysis from different experts. Several reports have since suggested he was executed by a hit squad at government headquarters -- an account that appeared to be supported by the results of the autopsy. The probe into Sankara's death was launched five months after his friend-turned-rival Compaore was ousted. The issue of his death was considered highly taboo in Burkina Faso while the strongman was in power. 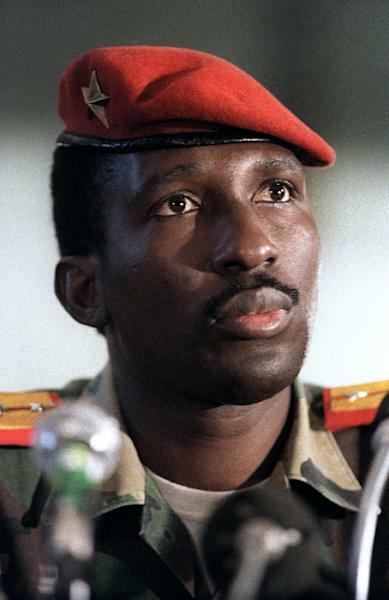 At least five other people -- mostly former soldiers who served in Compaore's elite presidential guard, the RSP -- have been charged in connection with Sankara's killing. "Proceedings are following their course. There have already been many charges in this case," said lawyer Benewende Stanislas Sankara. 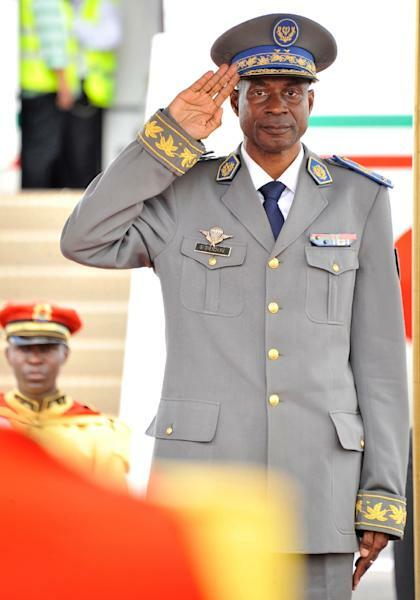 General Gilbert Diendere -- Compaore's former chief of staff, who led a failed coup in September backed by men from the RSP, is among those charged. The military's health chief at the time of the 1987 coup, Fidele Guebre, has also been charged for signing the death certificate stating that Sankara died of natural causes. 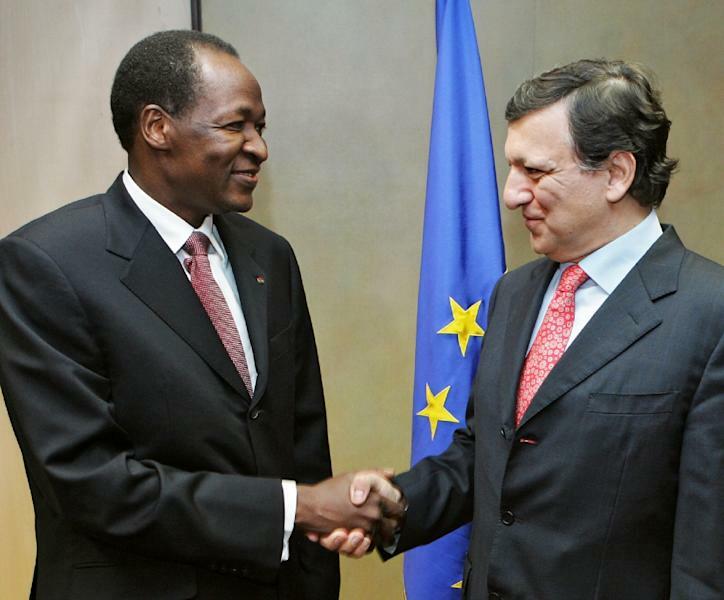 The arrest warrant against Compaore could complicate relations between Burkina Faso and Ivory Coast, its neighbour to the south. In the early 2000s, the former Burkinabe strongman was the main source of support for rebels backing Alassane Ouattara -- now the country's president -- who were trying to overthrow then-leader Laurent Gbagbo by seizing the northern half of the country. The political leader of that rebellion, Guillaume Soro, is now speaker of Ivory Coast's parliament and has recently been accused of seeking to support September's failed coup in Burkina Faso on the basis of recorded conversations leaked onto the Internet. Soro has insisted the recordings are fake, saying he was the victim of a "smear campaign".